I made myself a new dress! A sixties styled A-line dress from a mint green pepita-patterned fabric I bought last (or might even be the year before that) and had moved so far down on the want to-section of one of my to-do lists I had basically forgotten about it. 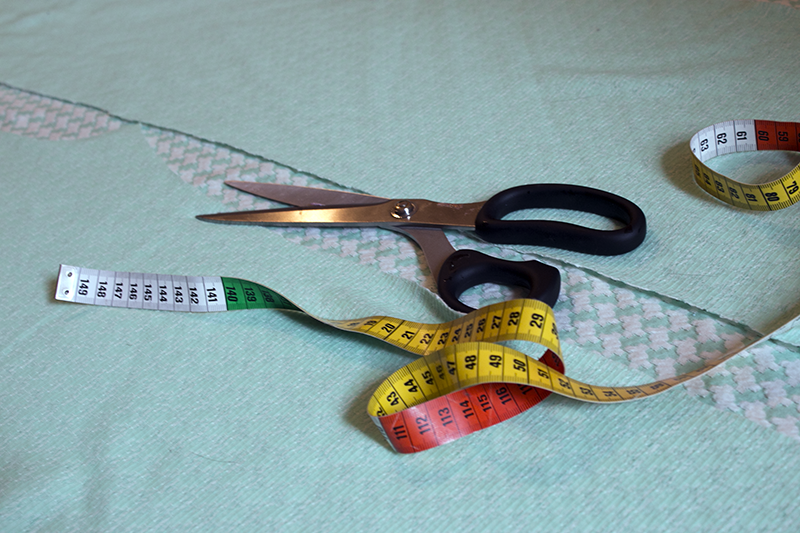 I have never sewn with, or properly learned to take advantage of patterns but make them up myself as I go along. Sewing for myself for almost twenty years I have learnt a lot along the way, and now plan more before cutting, thus mainly have to make the seams once (as in opposite to before, when I'd often make the piece a little bigger to be on the safe side, and then sew the seams smaller a couple of times over and over..). It's been a lot of trial and error during the years, and nowadays there's also the internet to consult when in doubt. So the clothing I make these days even look neat on the inside! Win. 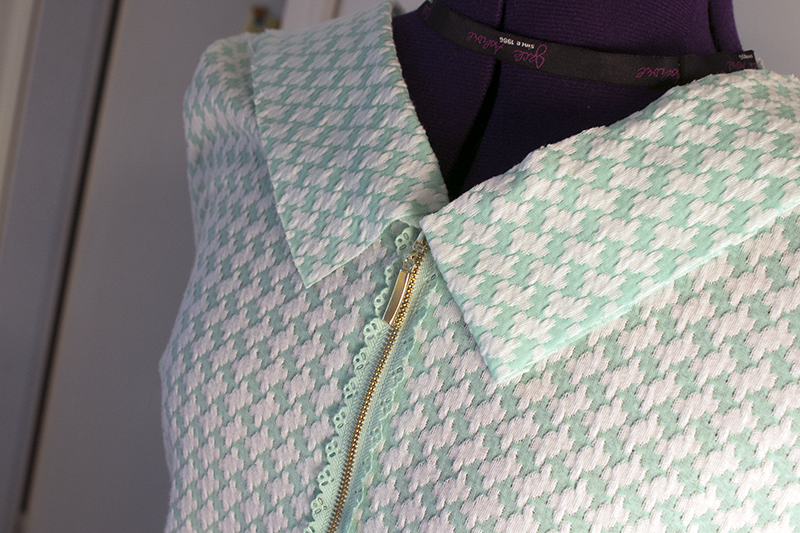 I had a mint green decorative metal zipper that I had intended to put in the front of the dress, and was thinking to perhaps add a collar to it. But then I changed my plans halfway trough, switched some darts and ended up making the back the front instead! Also, I have to add, the mannequin was very much worth the investment, especially also when it come to (stage-)costume making. I still do the final try-ons and adjustments on myself, as the doll still lacks breast and behind even though the measurements are the same, the clothes still looks a bit different on the body. 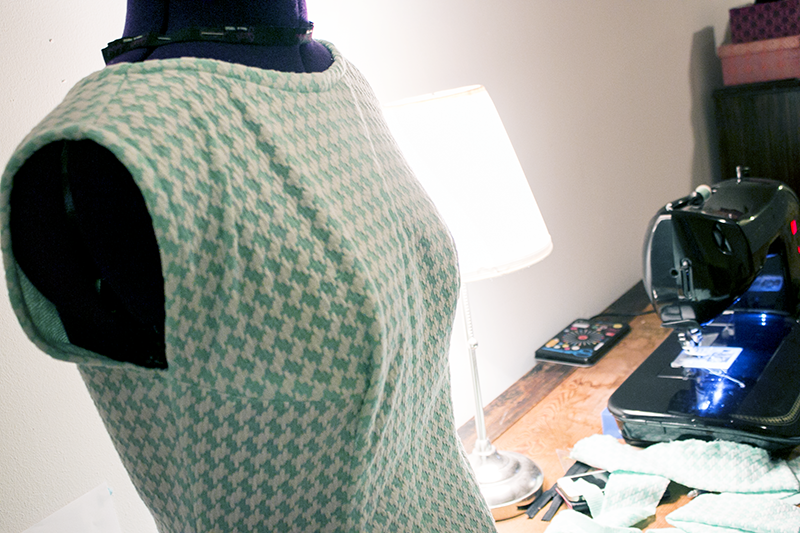 So if you like to sew even a little bit I really recommend getting a mannequin to work with/on! The zipper got to look pretty on the back of the dress instead. And after some thinking back-and-forth I decided to go for the version with the collar. My shoes are the Daisy shoes by Frollein von Sofa. She really has so pretty shoes, and they are vegan and comfy as well, so do check them out! 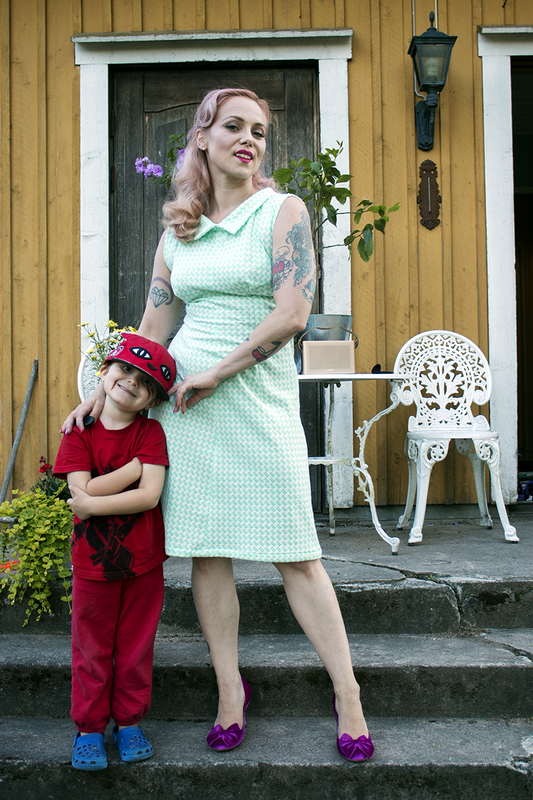 As a bonus; every time I take outfit photos a few of them look like this; Dag absolutely has to pose in them himself. He is very proud of his outfit as well - it is a constant outfit nowadays; he does not only dress up as a red ninja, he IS one. I had to go and get a few pairs of red sweatpants to him as herefuses to wear anything else, and he has a few of these red Ninjago t-shirts... He also asks to get the scars painted on every day.